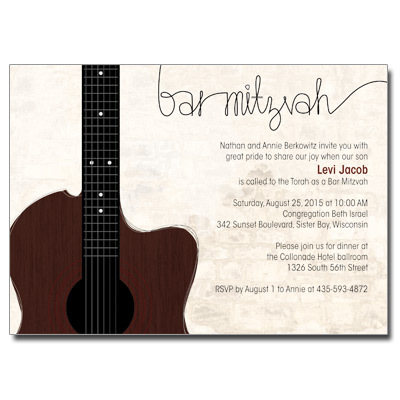 Celebrate your star musician with this guitar theme Bar Mitzvah invitation. Designed in black, brown and cream, this invitation features an acoustic guitar on a cream background with a stylized bar mitzvah headline. Event information is printed in black. Card measures 7 x 5.